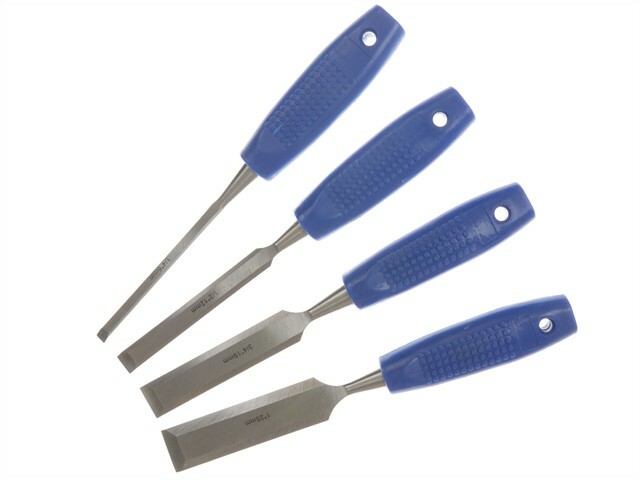 BlueSpot Tools 4 Piece Wood Chisel Set with precision ground blades. The chisels are made from hardened steel for extra strength and have grooved plastic handles for grip. Sizes: 1/4, 1/2, 3/4 and 1in.